The use of home sleep testing for patients with sleep apnoea has been around for more than two decades now and the number of patients choosing this alternative has been growing due to its many benefits. While some patients may be required to undergo testing in a sleep centre for medical and other reasons, a good number of them can actually do it at home. 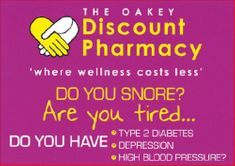 Sleep Apnoea can cause many health problems such as diabetes, heart disease, not to mention dying in your sleep due to lack of oxygen.